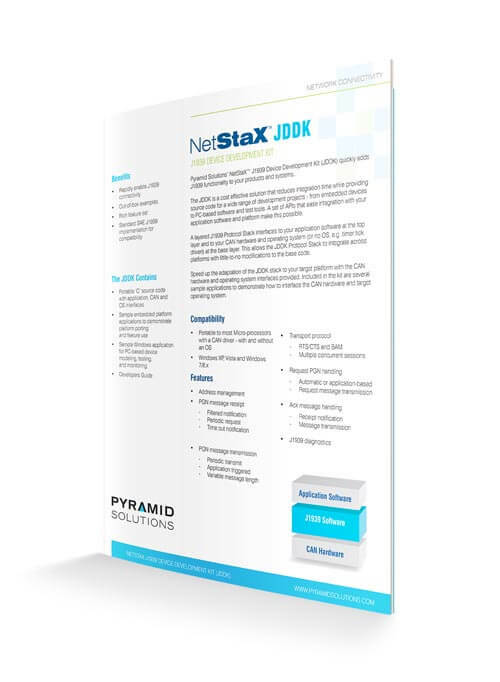 The NetStaX™ J1939 Device Development Kit (JDDK) enables you to quickly introduce J1939 functionality into your products and systems. It’s software protocol stack provides J1939 messaging and diagnostics functionality. The JDDK provides an application programming interface (API) for interfacing to your product’s application software. 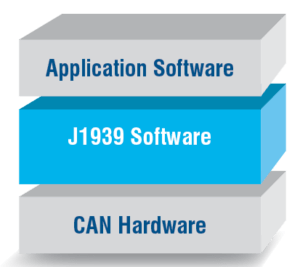 The layered J1939 protocol stack with an adaptable CAN driver layer interfaces with your product’s CAN hardware.